The SD Association has introduced a standard for MicroSD cards containing NFC secure elements. 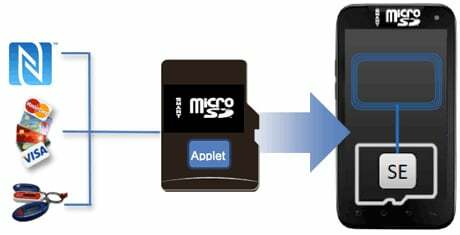 Smart microSD cards will make use of the Single Wire Protocol (SWP), originally introduced as a way to connect SIM cards with NFC controllers, and are designed to work with phones equipped with their own NFC antenna. This has been achieved, the trade body explains, by creating standard mechanical and electrical interfaces that will be used by Smart MicroSD — also referred to as SmartSD — cards to meet the requirements of the SWP standard. 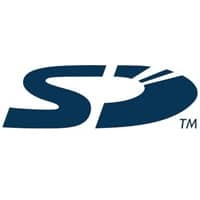 “SmartSD memory cards leverage the world-leading SD architecture and Advanced Security SD (ASSD) standard, allowing transfer [of] ISO 7816 application protocol data unit commands to for example Java Card applets and responses through the SD bus,” says the SD Association. All SD Association members will be able to make MicroSD cards conforming to the new standard, in SD, SDHC and SDXC capacities. “SmartSD memory cards can be purchased by, or issued to, consumers from any service provider including banks, credit card companies, retailers, transportation providers and governments,” the association explains. “With SmartSD, service providers gain a new way to differentiate their offerings with unique value-added services, addressing customers of any mobile network operators, device manufacturers and proprietary app stores. Service providers can manage the lifecycle of their secure element using the same business process used today for other smart cards and credit cards, while mobile network operators gain a new option to support their value added services. The SD Association and the secure element standards body GlobalPlatform announced in November 2011 that they would work together to standardise the way in which secure data is managed on SD and MicroSD cards. MicroSD cards that incorporate an antenna as well as a secure element, thereby adding NFC to almost any phone, have long been available as proprietary solutions.